Home / News / Jan. 5, 2018 – New legislation governing the payday-loan industry in New Brunswick came into effect Jan. 1. 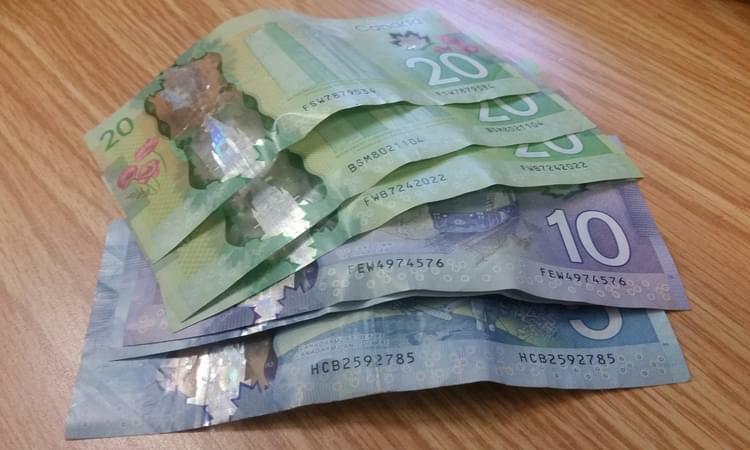 New legislation governing the payday-loan industry in New Brunswick came into effect Jan. 1. While he welcomed new provincial legislation that kicked in this week governing payday lenders, an anti-poverty advocate says the real problems facing the poor are the economy and social-assistance levels. Until Jan. 1, the payday-loan industry in New Brunswick was unregulated. Dan Weston, co-ordinator with the Fredericton Anti-Poverty Organization, said the working poor can get stuck paying off a series of such loans, and he welcomed such changes as a prohibition on a payday lender providing more than one loan at a time for people. New protections and limits on how much money payday lenders can extract from customers are good first steps, Weston said, but the real problem doesn’t lie with that industry. It’s flourishing in circumstances in which poverty runs rampant, he said. Alaina Nicholson, acting director of consumer affairs with the Financial and Consumer Services Commission (FCNB) of New Brunswick, said the new rules limits payday lenders from charging more than $15 per $100 loaned and from charging more than 2.5 per cent per month should such a loan go into default. The maximum term is 62 days and the maximum amount is $1,500, she said, and a borrower can’t get more than 30 per cent of their net pay for a payday loan. Furthermore, Nicholson said, customers have 48 hours in which they can cancel a payday loan, with no cancellation fees. Payday lenders can only give a borrower one loan at a time, she said, and they can’t grant another loan to pay off a previous one. The new legislation also empowers the FCNB to enforce the rules, with administrative penalties of up to $100,000 and fines for infractions of up to $250,000, Nicholson said. Tony Irwin, CEO of the Canadian Consumer Finance Association based in Hamilton, Ont., said his organization is disappointed with New Brunswick’s new regulations. The organization, which represents smaller finance companies including payday lenders, isn’t happy with the $15 per $100 cap and the 30 per cent of net income limit, he said. While the association welcomed regulation of the industry, Irwin said, it felt New Brunswick went too far. Evidence of that, he said, can be found in an association member’s change of its business approach in the province. He said Money Mart, which operates 15 locations in New Brunswick, is no longer doing payday loans in the province due to the new rules. “I think that’s unfortunate for New Brunswickers who rely on this product,” Irwin said. Minimum-wage earners, especially those working part-time, are having trouble making ends meet, Weston said, and social-assistance rates are too low. A stronger economy with more and better-paying jobs is what’s needed, he said. A higher minimum wage would be helpful as well, Weston said, but he feels the minimum wage shouldn’t be the baseline at which so many people find themselves. Nicholson said just because the new legislation has come into effect doesn’t mean the commission’s work on the payday-loan industry is complete. She said tougher rules could come into play in the future. “It’s not set in stone,” she said. The FCNB’s goal is to protect consumers, Nicholson said, and if repeated complaints spotlight a problem, steps can be taken to strengthen the legislation. Irwin said the industry has been demonized. Payday loans are a last resort for lower-income earners who are turned down by traditional lenders, he said. Irwin said he recognizes some borrowers can get stuck in a debt cycle with payday loans, but the industry has proposed a solution. It suggests an extended payment plan – for a loan to be paid back over three pay periods rather than one. British Columbia has adopted that approach, he said, and Ontario is due to incorporate it into its legislation this summer. “New Brunswick did not choose to go forward with it,” Irwin said.